Robert Redford isn't speechless about near-silent role in "All Is Lost"
Oscar-winner Robert Redford is carrying the weight of his new film on his shoulders. That's because the Hollywood veteran is the sole on-screen actor in "All Is Lost,"the latest drama from "Margin Call" director/screenwriter J.C. Chandor. The premise is relatively simple. An unnamed man (Redford) is lost at sea and struggles to survive the elements around him. 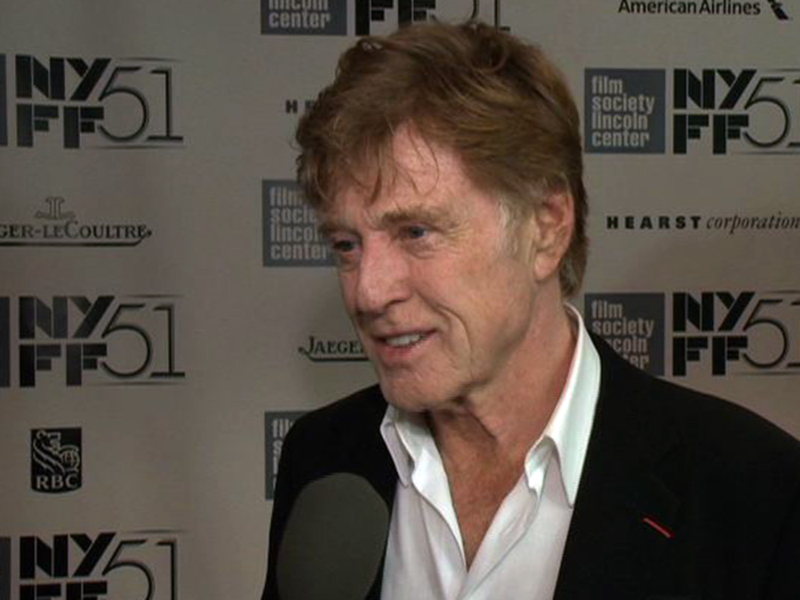 In addition to also being a Sundance kid, Redford appeared at the New York Film Festival Tuesday night, where he told CBSNews.com that he relished getting a chance to play an almost totally-silent role. "I loved it," Redford revealed, "For an actor, well at least for me, that was a choice situation. Because in this case, words would've gotten in the way. This allows the audience to kind of come in and be part of the experience with the actor." "Star Trek" actor Zachary Quintoserved as an executive producer on "All Is Lost," and was grateful to have a star like Redford on board. "His performance in this film is so moving and really on so many levels just flawless," Quinto said. Watch video above to hear Redford, Quinto and Chandor speak more about their new film, which has already received universal acclaim and Oscars buzz. "All Is Lost" opens in theaters on Oct. 18. The 51st New York Film Festival runs until Oct. 13.